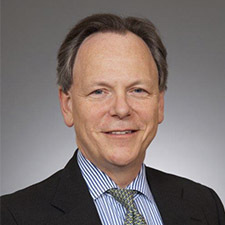 Ed Orazem is the former (retired) President of Fidelity Family Office Services (FFOS), a Fidelity Investments company and provider of custody, brokerage, investment and reporting services to family offices. Mr. Orazem became President in February 2009 and prior to joining Fidelity, Mr. Orazem was Managing Director, Global Wealth Management for Citigroup, Inc. from 1995 to 2008. Mr. Orazem received a Bachelor of Arts degree in history from the University of Washington in 1978 and a Bachelor of Arts degree in economics from the Universite Catholique de Louvain in Belgium in 1981. He also received an MBA in finance and international business from the University of Chicago, Graduate School of Business in 1983. Mr. Orazem joined the EdVestors board in 2016.